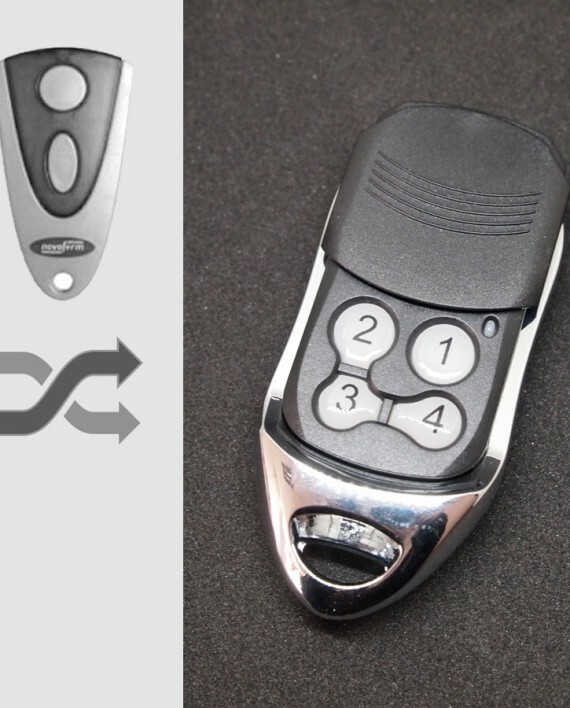 An aftermarket compatible remote, perfectly replaces your plastic Novoferm remote control, works where Novoferm Novotron 502 MAX 43-2 works. Wondering if it works same as Novoferm Novotron 502 MAX 43-2 remote? Watch our video showing how we program it to Novoferm standalone receiver. 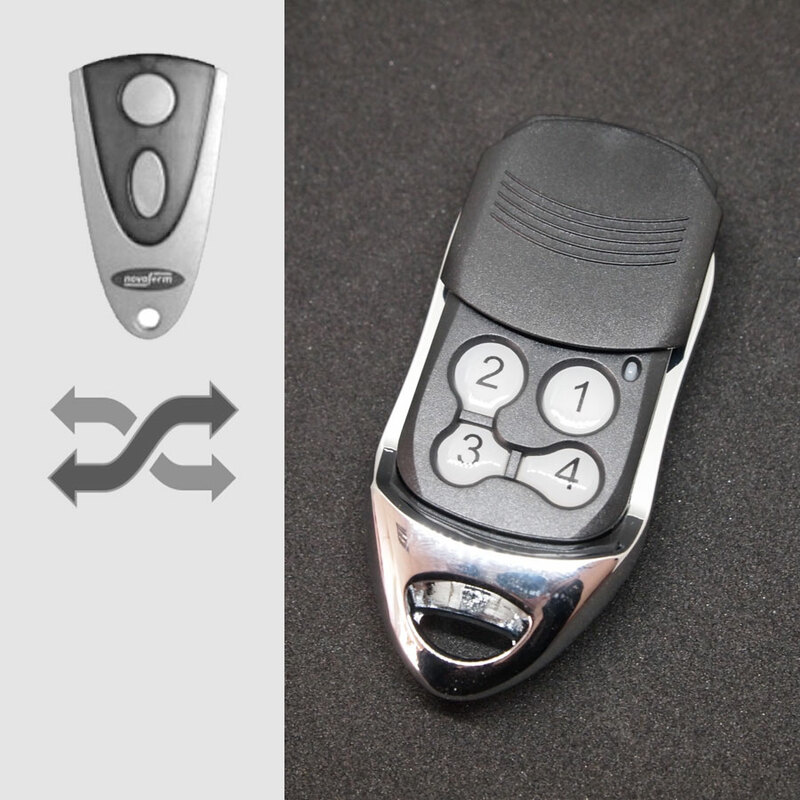 Our Novoferm #N3 compatible remote replaces many Novoferm remote control models including genuine Novoferm Novotron 502 MAX 43-2 key fob remotes, as well as other Novoferm remote models such as Novotron 504 MAX 43-4, Novotron 512 MIX 43-2, MCHS 43-2, MNHS 433-02, MNHS 433-04 and MTR 43-2 etc, it also works with some other Novoferm radio remote controls using 433.92 MHz keeloq technology. Compatible Novoferm door operators includes Novomatic 423, 553 S, 563 S, 803 S and many other Novomatic garage door operators, NovoGate sliding door operator, NovoPort automatic door system, as well as other standalone receivers made by Novoferm. Not compatible with some other Novoferm remote control models, such as Novoferm 202MB which is replaced by Marantec D302, as well as remotes using old 26.985 MHz or 40.685 MHz frequency, such as M512-1, M512-2, FHS10-1, FHS10-2, MS41-2, S41-1, S41-2 and S41-4. 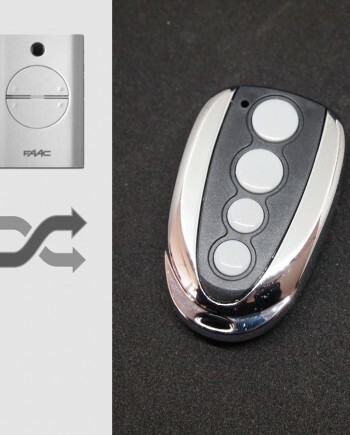 Novoferm remote controls are made by Novoferm, member of Japanese Sanwa Holdings Group, and one of the largest European system suppliers of doors, garage doors, frames and operators for uses in the private, trade and industrial sectors. Novoferm manufactures in western Europe and Asia, and distribute products in many countries of the world. Based on our marketing research, the best-selling Novoferm remote control models are Novoferm Novotron 502 MAX 43-2 remotes and newer Novoferm Novotron 522 remotes using AES128 encryption. 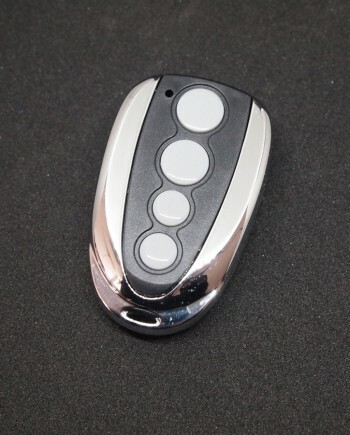 Novoferm Novotron 502 MAX 43-2 is a two channel remote control key fob for garage door operators and other automatic door systems etc. 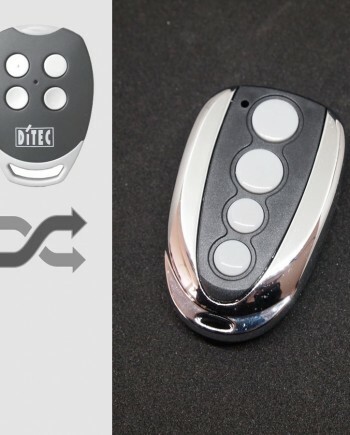 The remote control is a mini-size hand transmitter, features 433 MHz secure keeloq rolling code, and the four button version hand transmitter Novotron 504 MAX 43-4 can control one door plus 3 other door systems. 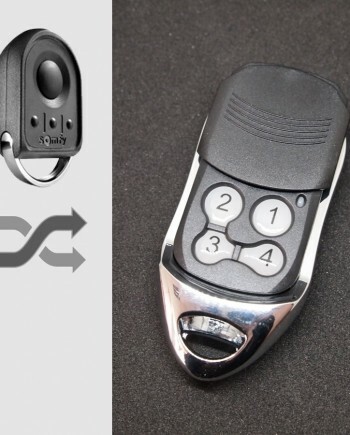 Novoferm designed new remotes model Novotron 522 and 524 starting from May 2015 and the new remotes claims to use better design and AES128 security, the compatibility with older Novotron 502 and 504 remotes are yet to be determined. 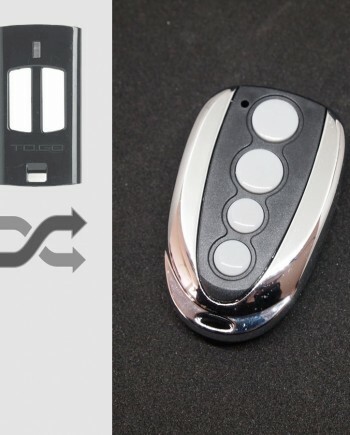 Novoferm brand remotes are widely used in European countries, such as Germany, UK and France, so there are many locksmiths, garage door opener & gate remote dealers need Novoferm remote controls in this region. Transmitting frequency at 433.92 MHz, features secure Keeloq rolling code encoder, uses 1 x 12V 27A alkaline battery, remote control distance is around 50m, with sliding cover protection. Official Novoferm Novotron 502 MAX 43-2 remote control programming guide can be found on Novoferm website, here is link to Novotron 502 MAX 43-2 manual. Watch programming video for Novoferm Novotron 502 MAX 43-2 on YouTube, our replacement remote works the same as genuine Novoferm remotes, so they share the same programming procedure. We make Novoferm Novotron 502 MAX 43-2 compatible remote in our factory in China, so we know our products better than anyone else in the world. We’re confident in our engineering team & quality control, actually our Novoferm compatible remote uses the same key components as genuine ones. 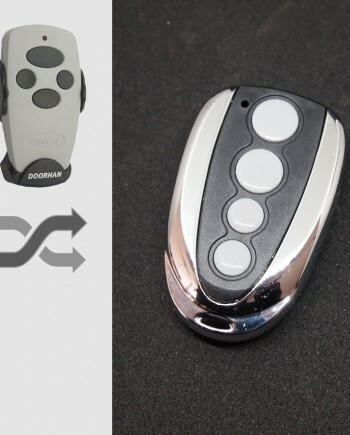 Comparing our factory-direct low price with high price of genuine Novoferm remote, you can have considerable profit by selling our products. 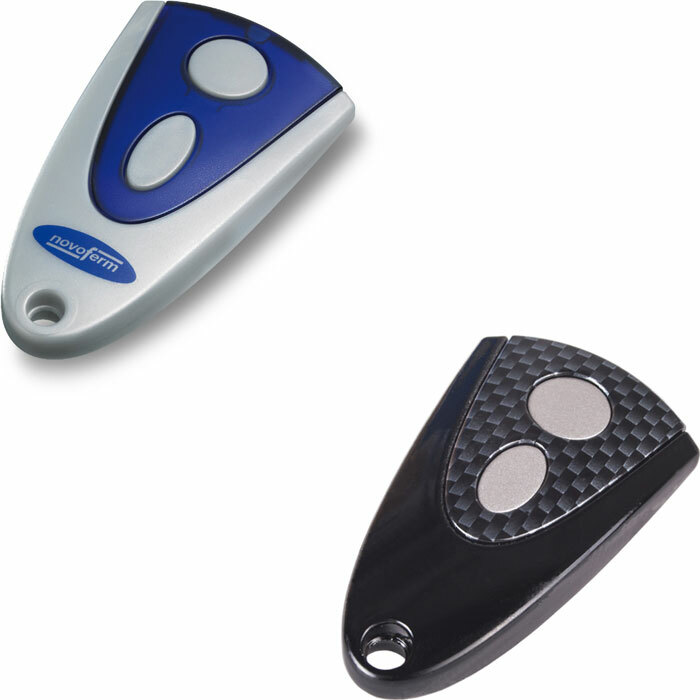 * Our Novoferm compatible remotes are white label products with optional logo printing service for bulk orders.